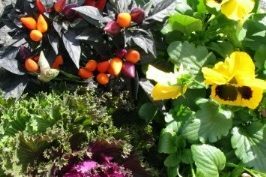 When we think of fall and our outdoor planters it’s garden mums that come to mind and truthfully, nothing says fall more than MN grown outdoor mums. 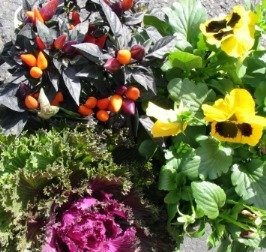 But what about the other MN Grown plants that are perfect for your outdoor planters and window boxes. While they may be relegated to being “runner ups” here are a few plants that add fall color and can help create beautiful long-lasting fall containers. Mix and match these plants with your fall mums or for a different look, skip the mums this year and fill your containers with a mixture of these plants instead. The silvery white foliage of this plant mixes well with all other colors and can handle temps below freezing. Calibrachoa with their small petunia like flowers are great to have trailing over the edge of your fall containers. They can handle chilly frosty nights down to about 28 degrees. During nights that are colder they should be covered with a bed sheet or other fabric. 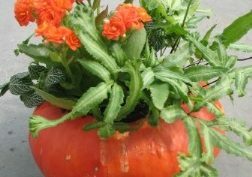 These colorful perennial plants are a perfect addition to your fall container gardens. 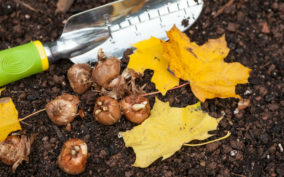 In late October remove the plants from the containers and plant in your garden. Be sure to water them until the ground freezes and with a bit of luck, they will come back up the following spring. Marigolds are a tried and true garden plant that does well in the garden all summer long and thrives well in the frosty nights of fall. The deep orange and rust colors pair well with other fall colored plants. Outdoor containers filled with plants that have unique or colorful foliage has been a trend for a few years. The key to success with an all foliage outdoor container is to choose multiple kinds of plants with leaves of different shapes, colors and textures. A sure sign of spring is the arrival of pansies in garden centers. They can handle the cool and even frosty nights of spring. What many people don’t know is that they are perfect for those cool frosty nights of fall too. Choose beautiful yellow and orange colored blooms to mix in with your other fall container plants.